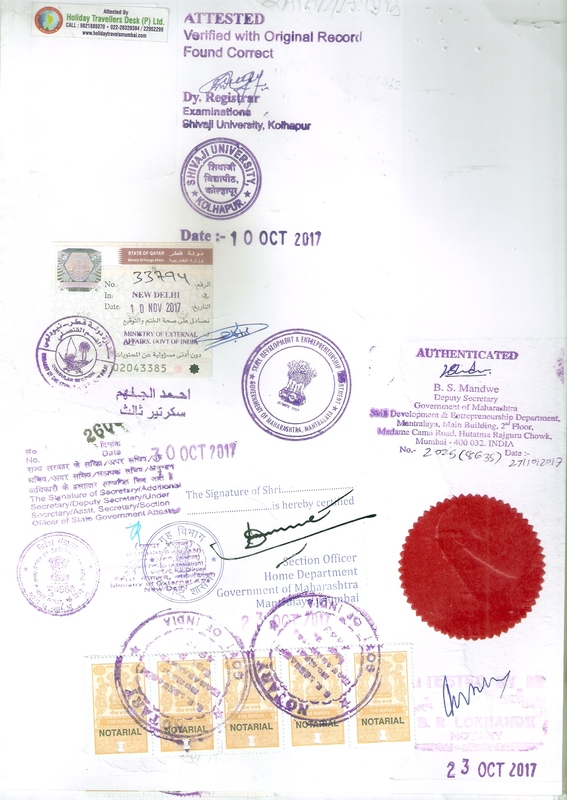 Degree/ Marriage/ Birth Certificate attestation for Qatar Embassy in Mumbai, Pune, Kolhapur, Nagpur, Nashik, Solapur, Ahmedabad, Surat. 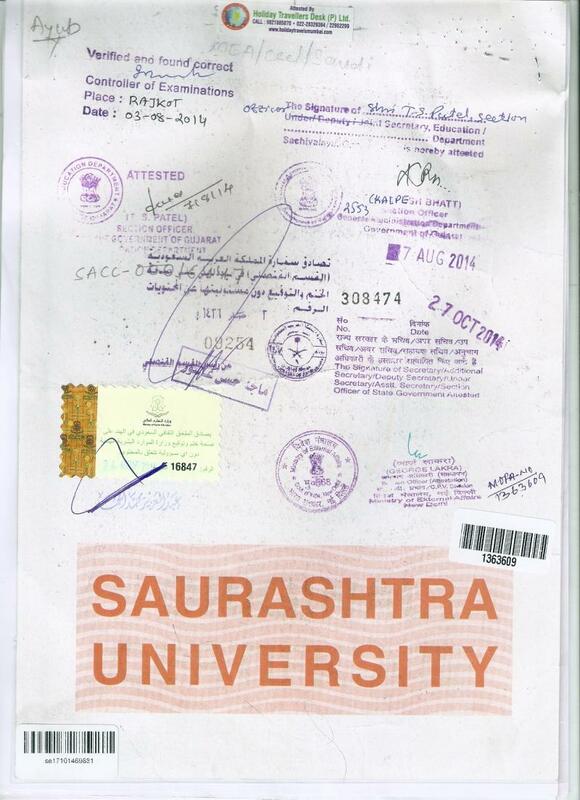 Document Required for Degree Certificate attestation from Qatar Embassy. 5) 2 Passport Size Photograph. Click for download the format for verification letter. New Rule of Qatar Embassy Atteatation. Qatar Embassy since December- 2015 is very specific that they will not be attestating distance education certificates/Open University certificates and private university certificates. For other universities also they require Bonafide/verification/genuinely letter either from the university or college saying that such and such person has completed such and such program on regular mode his enrollment number & registration number was such and such this certificates of such and such person is found to be genuine as per university or college record. 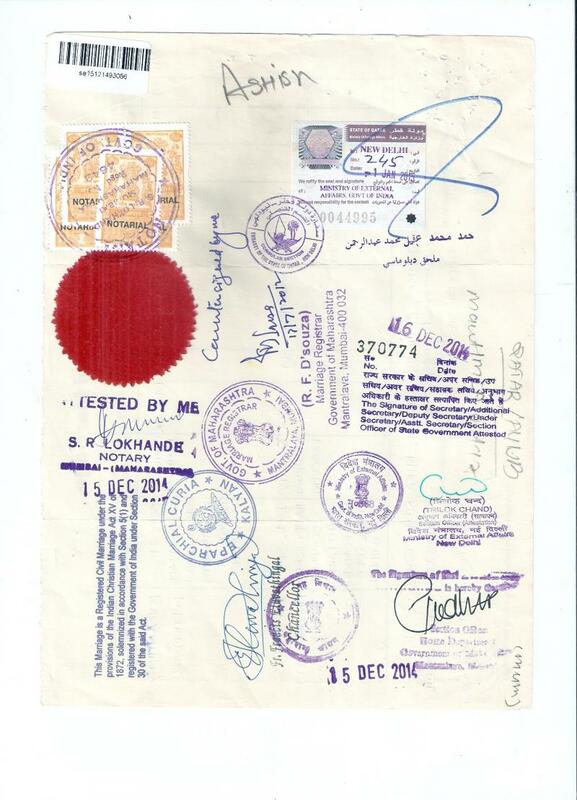 Certificate Attestation from HRD, MEA Attestation .The Government of Qatar requires all educational/Personal certificates, professional or academic, issued from India to be attested by the Indian Embassy/Consulate in Qatar for further attestation by the Ministry of Foreign Affairs of Qatar Government before grant of Qatar Visa. Certificates needs to be get attested for Qatar . First the Notary will be done. After getting attestation from notary We will submit the certificates for home department attestation. Initially you need to get attestation from Home Department to submit the documents to MEA . A certificate is authenticated by Home Department after verifying the content of the specified certificate. Authentication is the truly an accurate representation of the authenticity of that specified certificate, all the formalities stand as same for Qatar certificates attesting. The State Human Resource Department (HRD) is attested all certificates issued by Govt. School, Govt. Technical Board, Medical & Paramedical Institution, university and others.. After completing the attestation process the certificate can proceed to the ministry of External Affairs & Embassy Attestation. You can do with the Mantralya attestation also to get MEA attestation. 3) MEA attestation for Qatar. MEA attestation is under the ministry of external affairs govt. of India. Ministry of External Affairs should attest all the certificates issued in any state in India before submitting Qatar Embassy. Education department attestation or home department attestation should done for the MEA attestation. MEA attests all educational certificate non education certificates and commercial certificates. After getting successful attestation from MEA we will submit the certificates to Qatar Embassy for attestation.. The embassy will attest all educational and non educational and commercial document if the certificate already attested by MEA. 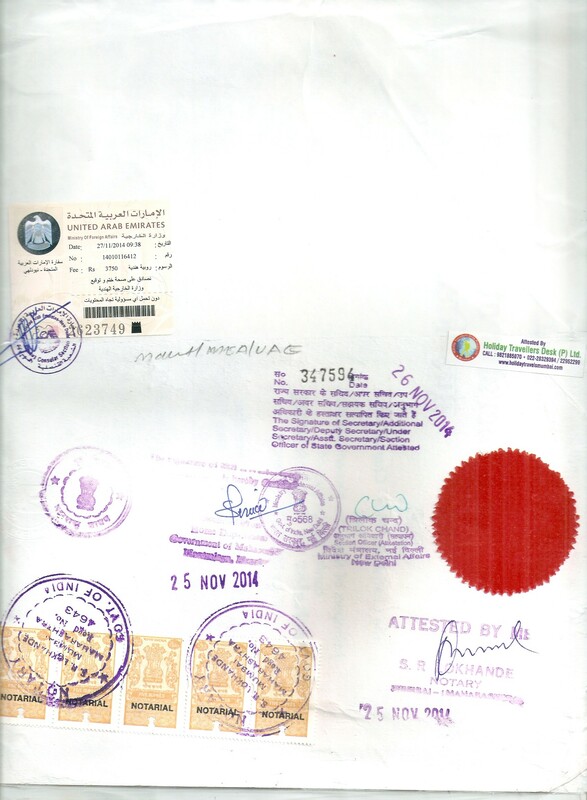 We attest below mentioned Certificates for Qatar Embassy attestation. Holiday Travellers Desk Pvt.Ltd providing this service of attestation of certificates Since 2007. It is managed by professionals to give you efficient, fast and reliable services, which is truly unmatched by others and THIS is a challenge. Degree Certificate/ Birth Certificate/ Marriage Certificate attestation for Qatar Embassy in Rajkot, Patan, Jamnagar, Amreli, Porbandar, Junaghad, Gandhinagar, Vadodara, Bharuch, Narmada, Surat, Navsari, Dangs, Valsad, Daman for Employment Visa and We are attestation agent. Chennai, Kanchipuram, Tiruvannamalai, Dharmapuri, Erode, Nilgiris, Ooty, Namakkal, Perambalur, Viluppuram, Puducherry, Cuddalore, Ariyalur, Tiruhchirappalli, Karur, Trichy, Dindigul, Theni, Madurai. 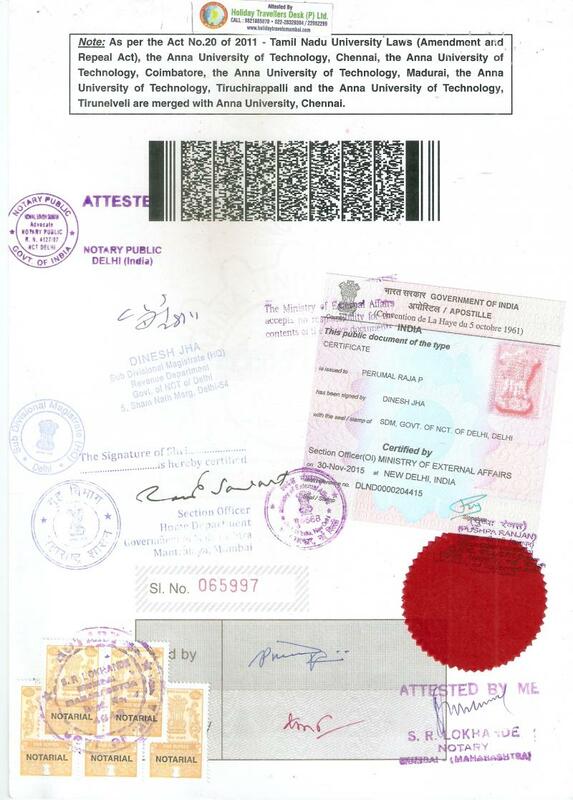 Degree Certificate/ Birth Certificate/ Marriage Certificate attestation for Qatar in Vashi, Sanpada, Juinagar, Nerul, Seawood, Belapur, CBD, kharghar, Manasarovar, CST, Masjid, Sandhurst Road, Dockyard Road, Reay Road, Cotton green, Sewri, Vadala Road, GTB Nagar, Chunabhatti, Kings Circle﻿, Thane, Airoli, Rabale, Ghansoli, Koparkhairne, Turbe, Sanpada. Degree Certificate/ Birth Certificate/ Marriage Certificate/ Leaving Certificate attestation for Qatar from Vidyavihar, Ghatkoper, Vikhroli, KanjurMarg, Bhandup, Nahur, Mulund, Thane, Kalva, Mumbra, Kausa, Diva Junction, Koper, Dombivali, Thakurli, Kalyan, Vithalwadi, Ulhas Nagar, Ambernath, Badlapur, Vangani, Shelu, Neral, Bhivpuri Road, Karjat, Palasdhari, Kelavli, Dolavli, Lowjee, Khopoli﻿﻿. 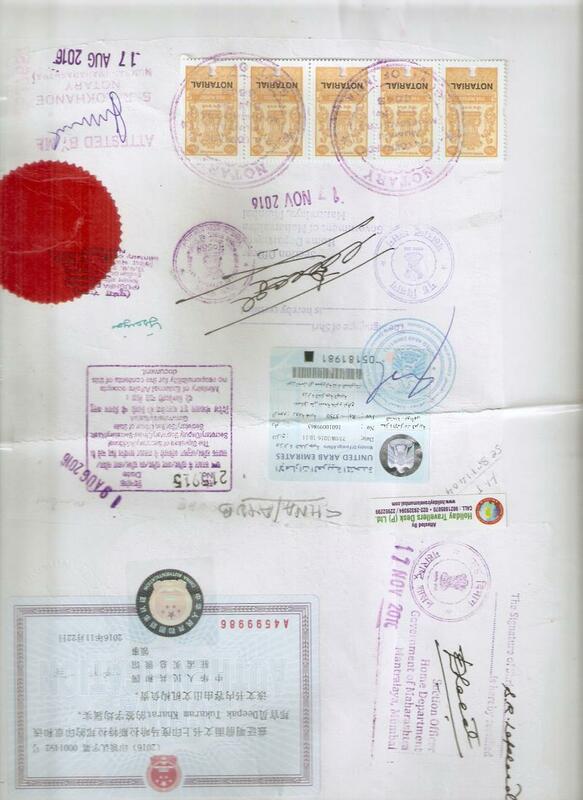 Degree Certificate/ Birth Certificate/ Marriage Certificate attestation agent for Qatar from Churchgate, Marine Lines, Charni Road, Grant Road, Mumbai Central, Mahalakshmi, Lower Parel, Elphinstone Road, Dadar, Matunga Road, Mahim Junction, Bandra, Khar Road, Santa Cruz, Vile Parle﻿, Andheri, Jogeshwari, Goregaon, Malad, Kandivali, Borivali, Dahisar, Mira Road, Bhayander, Naigaon, Vasai Road, Nalla Sopara, Virar, Vaitarana, Saphale, Kelva Road, Palghar, Umroli Road, Boisar, Vangaon, Dhanu. Degree Certificate/ Birth Certificate/ Marriage Certificate attestation for Qatar from Nagpur, Nasik, Aurangabad, jalgao, Nandurbar, Dhule, Jalna, Beed, Nanded, Usmanabad, buldhana, Akola, Parbhani, Latur, Yavatmal, Washim, Gadchiroli, Solapur, Ahmednagar, Wardha, Gondia, Chandrapur, Ichalkaranji, Sangli, Ratnagiri﻿, Mangao, Khed, Chiplun, Sangmeshwar, Ratnagiri, Vilavade,Rajapur Road, Vaibhavwadi Road, Kankaval, Sindhudurg, Kudal, Sawantwadi Road, Pernem, Thivim, Karmali, Madgaon, Dapoli,Chiplun, Malegaon, Amravati/ Qatar attestation agent. ﻿We Provide free Doorstep service. All Dgree & Deploma attestation. Verification of Mumbai and All Maharashtra. Certificate attestation is also done on URGENT basis from Embassy of UAE with the facility of 3rd day delivery of Marriage Certificate or Birth Certificate.